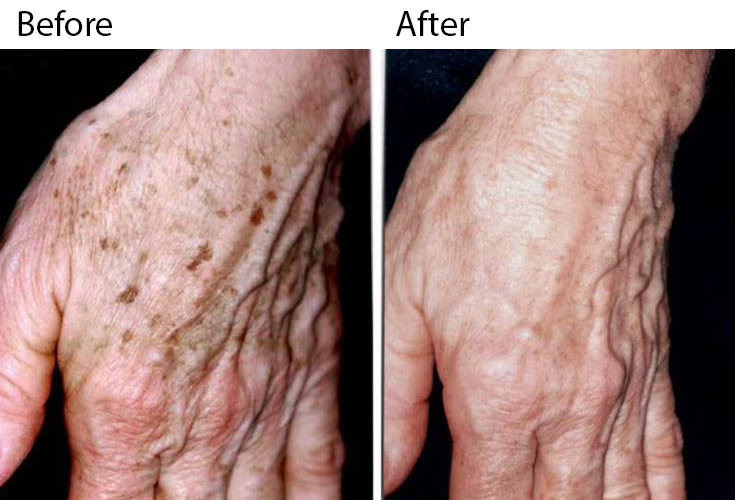 What is the enlighten™ Laser Treatment for Benign Pigmented Lesions Treatment? enlighten™ by CUTERA® is a new approach to treating benign pigmented lesions (moles). Originally developed for tattoo removal, it is an effective laser procedure that achieves dramatic results in removing benign pigmented lesions without the risk of downtime. Benign Pigmented Lesions are an abnormality in the skin that most of us face at one point or another. Moles occur when cells in our skin grow in a cluster instead of spreading evenly throughout the skin. When these cells cluster, they make a pigment that darkens during adolescence, after being exposed to the sun or during pregnancy. At Midtown Med Spa, we help our patients say goodbye to their benign pigmented lesions using the enlighten™ laser system. How Does the enlighten™ Laser by CUTERA® Work for Treating Benign Pigmented Lesions? The enlighten™ Laser by CUTERA® works on benign pigmented lesions by breaking down the pigments using concentrated laser light. The laser light provides a strong, non-thermal, photomechanical effect that shatters the pigment clusters of your mole, allowing new skin to emerge evenly. Since different skin types require different wavelengths, the enlighten™ laser’s wavelengths of 1064 nm and 532mn enable the customization of the treatment to suit any skin type. Q: Does the enlighten™ treatment for Benign Pigmented Lesions hurt? A: The treatment is not painful and does not require any anesthesia or medication. When the device is passed over your skin, you will feel a heating sensation that is common to most non-invasive laser treatments. Q: How long does an enlighten™ treatment for Benign Pigmented Lesions take? A: The enlighten™ treatment for Benign Pigmented Lesions takes no more than 15 minutes per treatment area. Q: How many sessions will I need before I can see results from an enlighten™ treatment for Benign Pigmented Lesions? A: For most patients, full results will vary. Q: Are there any side effects from the enlighten™ treatment for Benign Pigmented Lesions? A: Immediately following treatment, you may feel some mild redness and swelling. The treated spots will get darker before they lighten, this could last seven to ten days.